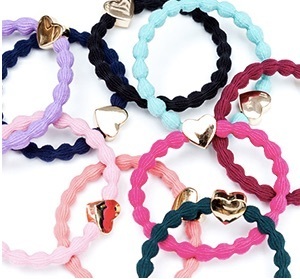 The byEloise London bangle bands come in a variety of fresh and fashionablecolours and charms. Every season we add new styles to the collection, and we always have an array of timeless classics. There is a colour and a charm for every one and for every occasion. Girls, princesses, ladies and women of all ages love the byEloise London bangle bands. With careers in fashion, consulting and finance, byEloise London is a dream come true, allowing us to combine the role as mothers with a business we enjoy and believe in. The biggest reward for us is to see how our customers love and cherish our products.